“Nicotine is a cardiovascular stimulant, and can potentially worsen heart disease in people who already have severe heart conditions,” according to Live Science. The explosion of vape culture in youth has caused the industry to grow larger, piggybacking off the exploitation of children who are not taught the lasting health effects of the drug and thus submitting their body to something without understanding the full impact it can have. Vaping has swept across the nation in recent years. In 2018 as a response to the public awareness of the issue, the Center of Disease Control (CDC) gathered large amounts of data to try and further our understanding of the problem. E-Cigarettes, including vape pens, have faced nationwide backlash following their accused targeting of high schoolers through the appeal of flavors, attractive and ergonomic design, and the intense peer pressure that facilitates itself in a high school environment. Various vaping companies have been accused of catering to the underage buyer with the sort of flavors they are marketing. Developing flavors such as Banana Split, Kool-Aid and Skittles is hardly attractive to the adult consumer according to drug abuse counselor Dawne Neithamer. Cigarettes almost completely banned from attaching flavors to their product in 2009 after findings showed that flavors attract kids to use the product, yet vapes are not affected by this law. 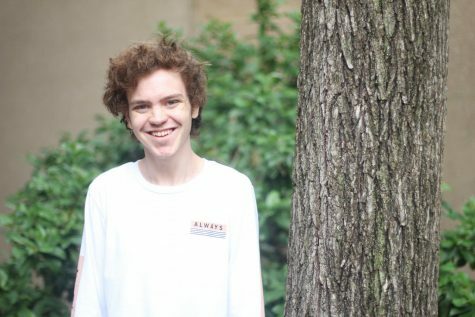 Senior Adyn Ellis, an advocate for vapes, believes flavors are an essential aspect to practice, as well as admits that the different tastes are part of the reason why he began to vape in the first place. In addition to flavors, the design of e-cigarettes has its own particular allure specifically for teenagers. It is engineered perfectly for concealment in tricky situations. There are pens, foldable devices, and even small faux flash drives. These easy to hide designs may have originally been driven toward discreet usage for adults, but ended up acting as a catalyst for teenage misuse. “They designed an e-cigarette that could easily be mistaken for a USB flash drive and can fit in the palm of the hand,” said Vox. The design is not only easily concealable, but overall convenient considering there is no consensus ash, lighter, or unnecessary nuances that might prevent use in situations where cigarettes would be inappropriate. Senior Kate Jackson, an 18-year-old-vaper, explained how the the design appeals specifically to her. Even for those who weren’t originally attracted because of the flavors or the easily concealable design, the intense amount of pressure from peers, and sheer exposure to the accessible device, can entrap kids to the drug. Especially worrisome is the intense accessibility of the pens. It is easy to use in a group setting, making it subsequently easy to pick up the habit of vaping without investing much personally. This widespread use of vaping presents, specifically in teens, numerous health effects makings its adoption among the youth worrying. According to the CDC during adolescence, brains are still developing, and intake of nicotine can prevent connections between synapses, the linkage built between brain cells each time a new skill or memory is created, from being formed which is important to developing brains still growing and learning. Although, according to the CDC, as an alternative to smoking cigarettes vaping presents fewer health issues, the intake of nicotine, and the under regulation of the market makes kids vulnerable to lasting health effects, especially when buying from an illegitimate seller which most kids will be forced to do. Nicotine, the most integral ingredient to vapes, is the addictive chemical that gives the products their edge. Vapes get nicotine from a liquid that is heated and then inhaled while cigarettes use tobacco, as well as 600 other ingredients. A nicotine addiction at a young age can cause a reliance on drug for stress relief. Senior Daniel Hughes explains the calming effect vaping has on many teenagers after just a few uses. 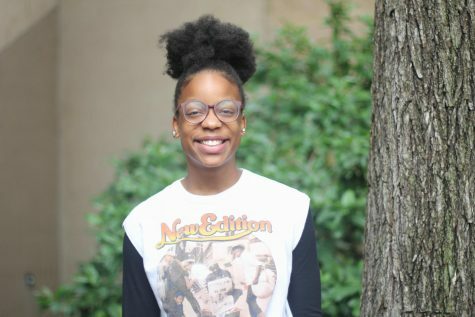 “There’s just a lot of stress with school, and vaping just helps take the edge off of all that,” said Hughes. Developing this addiction at a young age after not being taught the risks involved with using the drug, and even having it marketed it towards you as something techy and attractive, can have a devastating effect on your future health. The most popular e-cigarette brand, JUUL, have recently been under numerous lawsuits regarding their advertising practices as documented by TorHoerman Law LLC.. Plaintiffs claim that JUUL knowingly appeals to children using attractive flavors and online marketing that is associated with youth culture. JUUL claims that their marketing strategies are not specifically targeting children, but trying to reach a large audience and following modern advertising trends. 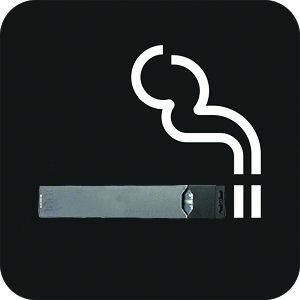 Since the lawsuits emerged, JUUL has suspended in-store sales of many fruit flavors, eliminated most of their social media pressure, and replaced their ads, which glorify the product to ones more focused on transitioning smokers and bringing awareness to the health issues that come along with their product. Although these actions help inform the public, JUUL has already taken over as the lead e-cigarette product controlling 73% of the market share according to Nielsen data in 2018. E-cigarettes have an innate appeal to children, whether they mean to or not, and it will only continue to grow in popularity and become more mainstream. Educating oneself and making a well informed decision about one’s body is ultimately what is important. Understanding the lasting effects and knowing the risks that come along with drug use is a crucial step to becoming healthy.